Every Italian lovers dream. 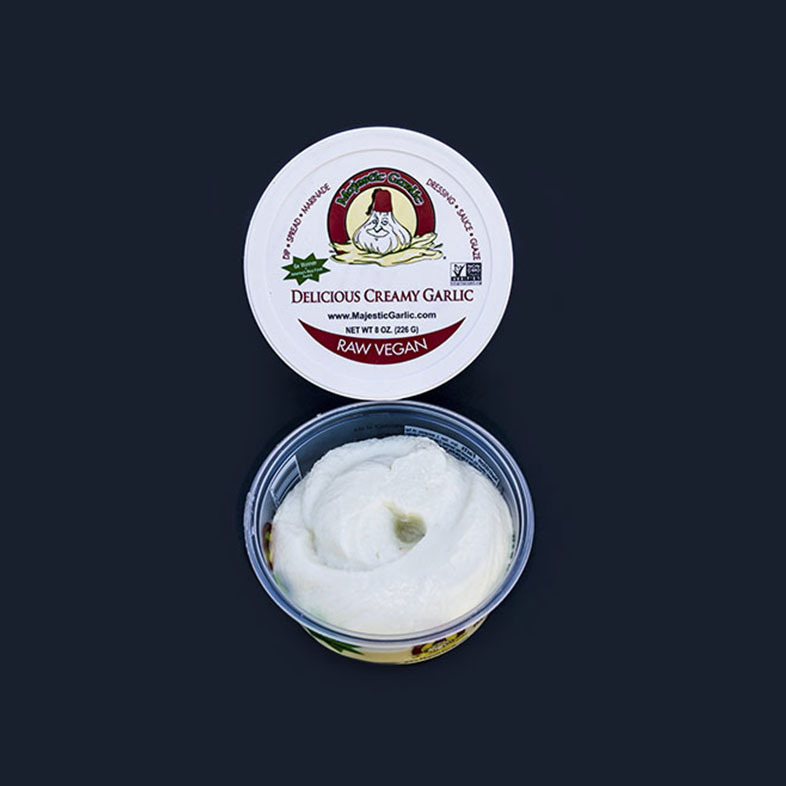 Creamy whipped garlic matched with the robust flavors of sun-dried tomatoes, with just the right amount of heat, and subtle fresh jalapeño pepper flavor, is sure to add that little extra kick to your favorite dishes. This garlic sun-dried tomato Jalapeño spread is the perfect addition to your favorite Italian dishes. Add it to pastas, spread it over freshly toasted breads, and pita, or toss it with grilled vegetables. Majestic Garlic Sun-Dried Tomato Jalapeño spread also makes a delicious addition to seared fish, your meat of choice, fried eggs and frittatas. 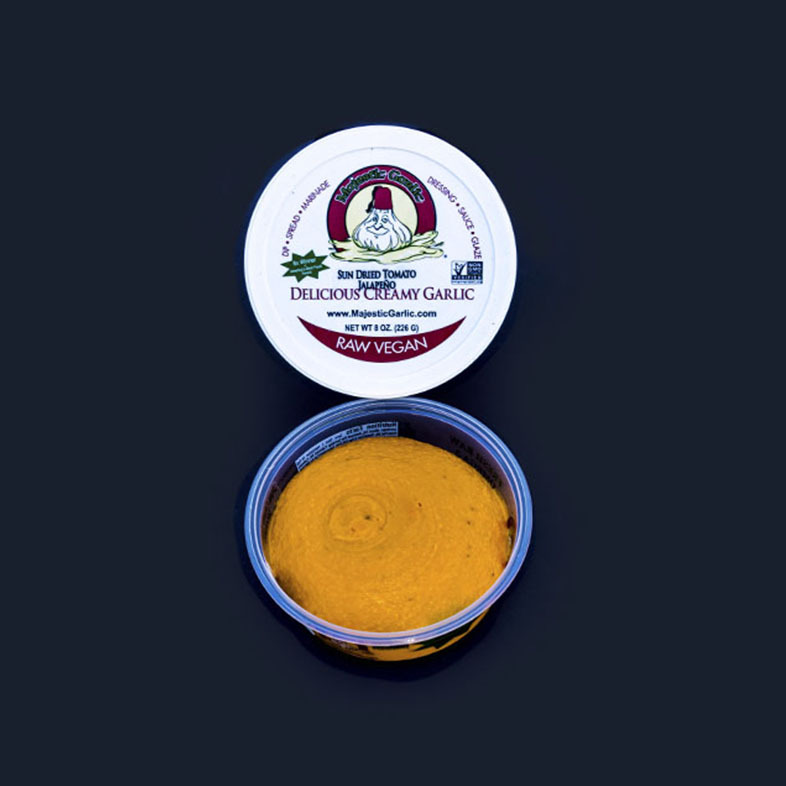 Majestic Garlic spread is made from 100% USA organic fresh raw garlic, organic cold milled flaxseed, organic safflower oil, organic sea salt, and fresh lemon juice in our Sun Dried Tomatoes Jalapeño.